After a very public row about the fat profits made by motorway operators, a workable compromise seems to have been reached. But the real cost to drivers – road safety – was not part of the negotiations. It took longer than the few days predicted by President Hollande, but it seems peace has finally broken out between the French government and the motorway operators after an unseemly row about the latter’s ‘excessive profits’. A leaked copy of the report from MPs on the ‘Working Group on Motorway Concessions’, widely reported today, seems to have come up with a workable compromise. Apparently MPs bought the argument from motorway operators that average profits over the lifetime of the concessions were around eight percent despite margins reaching nearly twenty five percent towards the end. However, the report recommends, among other things, that the 0.57% toll increase due on 1 February should go ahead as planned, that the stalled €3.2bn ‘motorway stimulus package’ – expected to create 15,000 jobs – should re-start immediately, and that low emission vehicles and car-sharers, etc, should get discounted tolls. In future, if traffic levels are higher than expected operator contracts would be shortened or toll rates reduced. The final report will be officially published within the next few weeks, likely after departmental elections on 22 March. 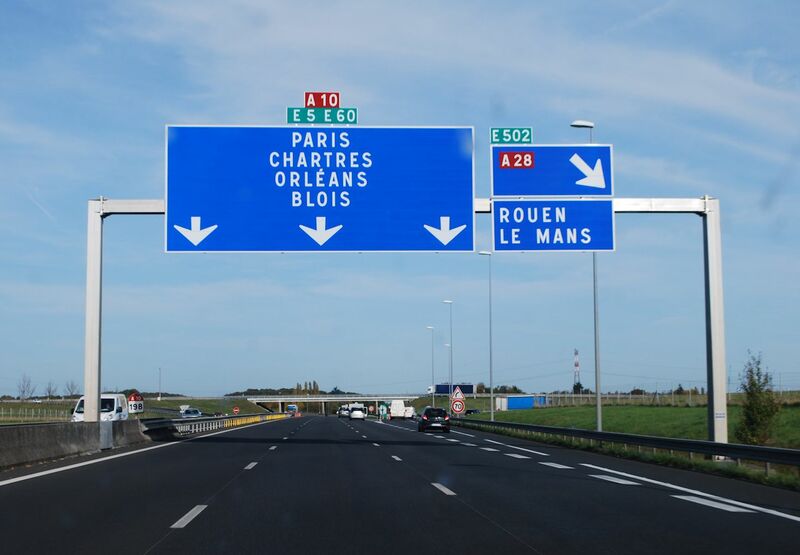 So, the autoroutes are not about to be re-nationalised – an MP resigned from the committee on Monday saying that option was never truly on the table – there will be no big cuts to tolls, or – as Ecology minister Segolene Royal proposed last year – no toll free weekends. That’s bad news for drivers, but could it be bad news for road safety too? While France’s motorways are among the safest in Europe, accidents on other roads drag the country down overall to only just above the EU average. Road safety has been volatile in France over the past few years though the underlying trend has been definitely downward and the blips have been easy to explain. The 12% rise in road deaths recorded in January however was a shock. With the economy still struggling, is it too much to imagine drivers are increasingly diverting away from expensive motorways to cheaper but riskier main roads? Bear in mind, the one way road toll between Calais and Nice is now €105.40. Diversion, a well-known phenomenon, is likely a too-simplistic explanation. Safety stats for February, due any day now, might show France is back on track*. Germany and the UK are struggling with road safety too. The European Road Safety Council is promising an in-depth analysis in June. But it’s a plausible, if scary, explanation. Perhaps the real price being paid by drivers in France is even higher than the one motorway operators dare charge. UPDATE 12 March: figures out today say road deaths increased by 6.7% in February 2015. More later.